ARRA News Service: Two-Faced . . .
. . . Media hates or loves U.S. Intelligence depending on the narrative they want to propagate in this case it’s about destroying President Trump. 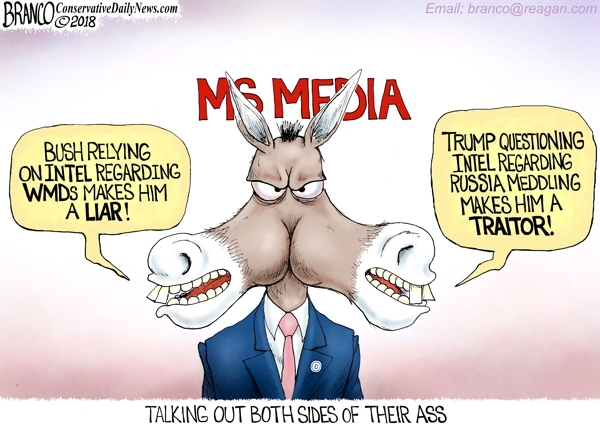 Tags: Editorial Cartoon, AF Branco, media, Two-Faced, hates or loves, U.S. Intelligence, depending on the narrative, want to propagate, destroying president Trump To share or post to your site, click on "Post Link". Please mention / link to the ARRA News Service and "Like" Facebook Page - Thanks!